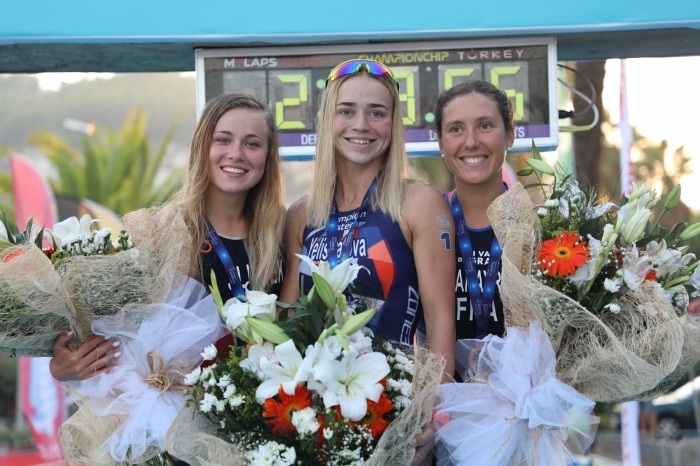 Alanya promised and certainly delivered on Saturday with the two women’s races. First up it was the juniors and we were not far off with our predictions. It was Germany’s Marie Horn who led from the start with a massive swim of 10:37 and a swift T1 to take her out into a lonely bike ride. 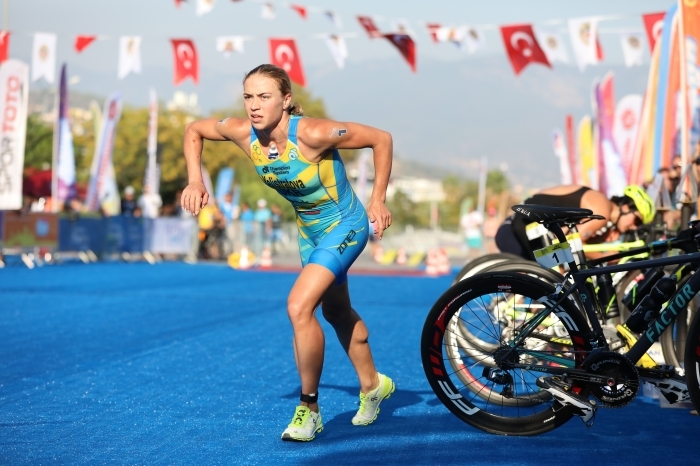 She stormed away on the bike and had created a comfortable lead by the time she entered T2. With just 5k it was going to be a battle with the heat as the mercury pushed high. Her lead came under threat from the supreme running of Alevtina Stetsenko RUS but with the lead that Horn had built out on the flat bike course, Stetsenko just could not make up the difference. 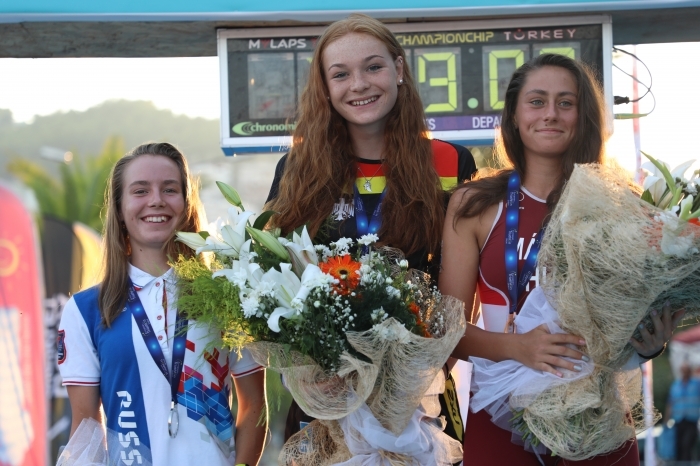 With gold going easily to Horn and with Stetsenko claiming silver, it was Hungary’s Lili Mátyus who rounded off the podium with a solid performance. Horn, from a family steeped in the spirit of triathlon, this victory has sealed her arrival on the international scene. A victory that was as brave as it was impressive and will send a clear message to the German Federation that she is one to look after. 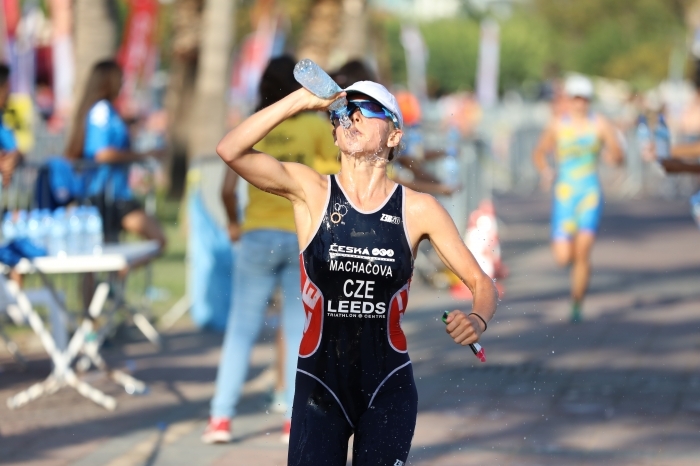 Click here for the Junior Women’s results. The points collected by these Junior athletes will be added to the Junior Rankings Table and updated alter this weekend. The Junior Men will be able to add more points today. Don’t forget to follow the live-tracking. 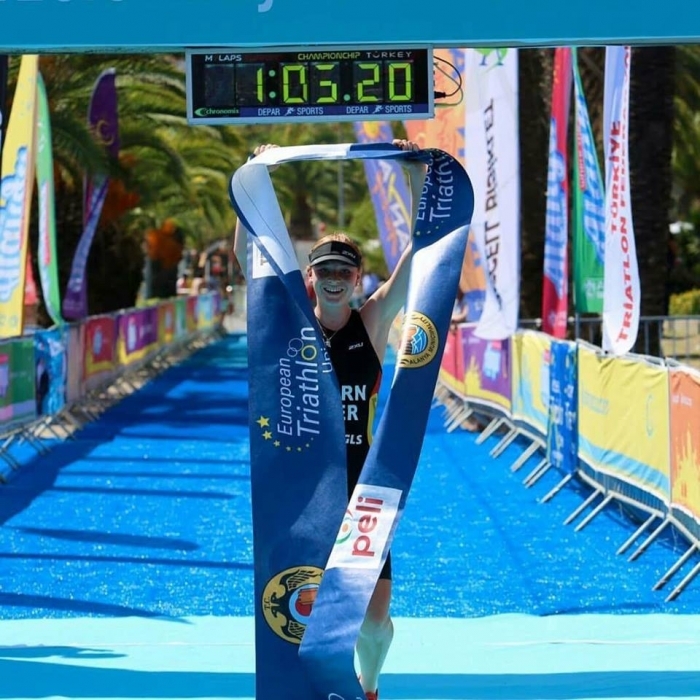 As the sun got warmer and as the athletes sought out every possible location for shade before the start, we were once again wondering if Ukraine’s Yuliya Yelistratova could add yet another Alanya title to her collection. 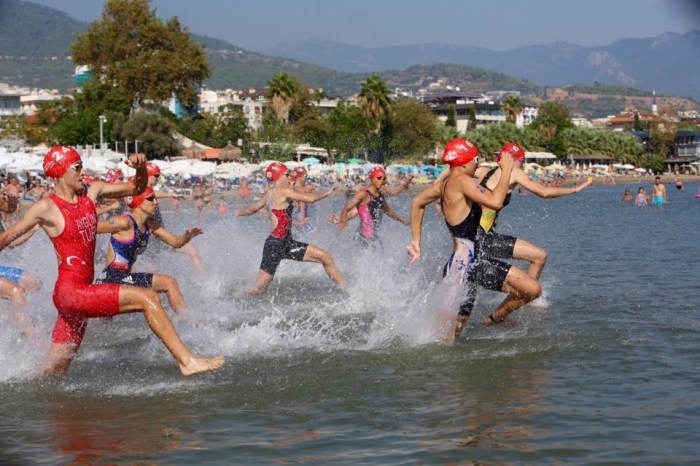 The athletes lined up; the sea looked stunning, the sun was hot and the race was on. 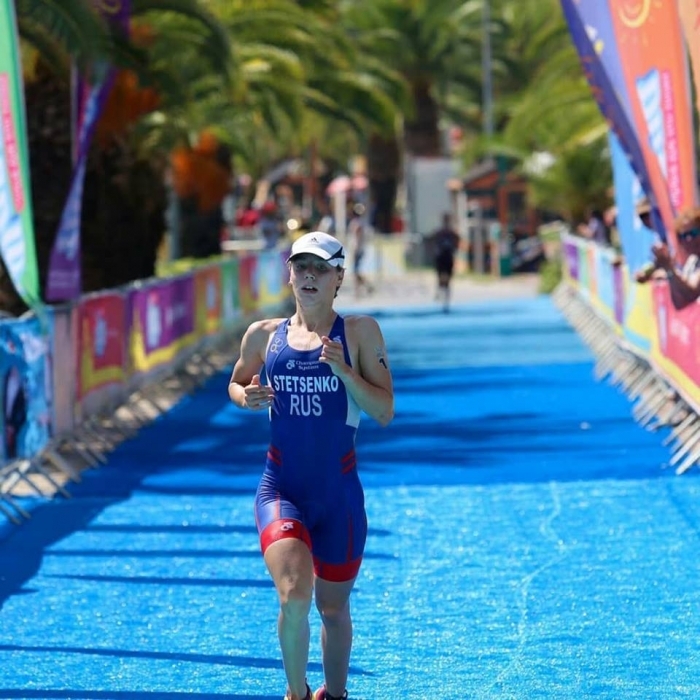 Never in the lead pack in the swim, Yelistratova was this time around well-placed and less than 30 seconds behind the leader, Sharon Spimi ITA, who pretty much shared that initial lead with teammate Alessandra Tamburri and Britain’s Chloe Pollard. 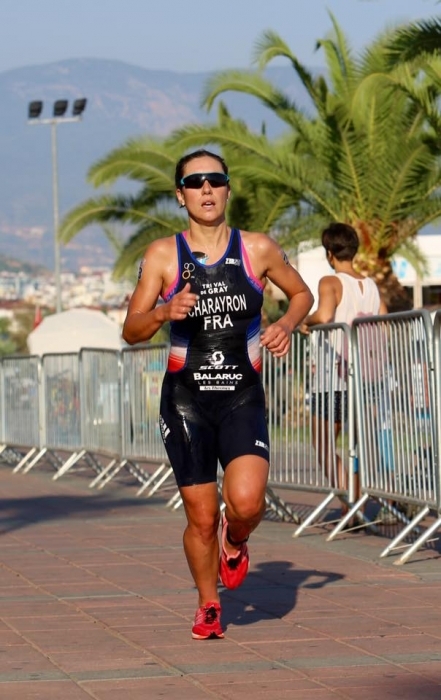 These three established an initial lead but Pollard was dropped and soon the Italians were joined by Emmie Charayron FRA, Noam Fishman ISR, Roksana Słupek POL, Luisa Iogna-Prat ITA and Lina Völker. 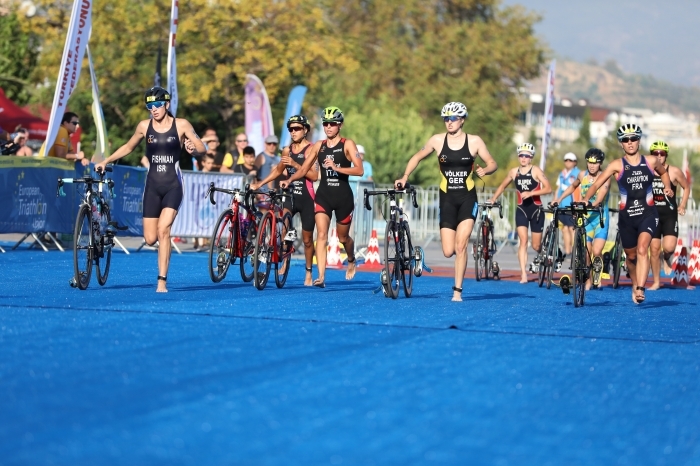 With Yelistratova edging her way into that group the pack did its best to break away from any threat in the chase pack. This leading group of 8 held it all together to enter T2 together. Yelistratova’s renowned run pace would be in the minds of them all. 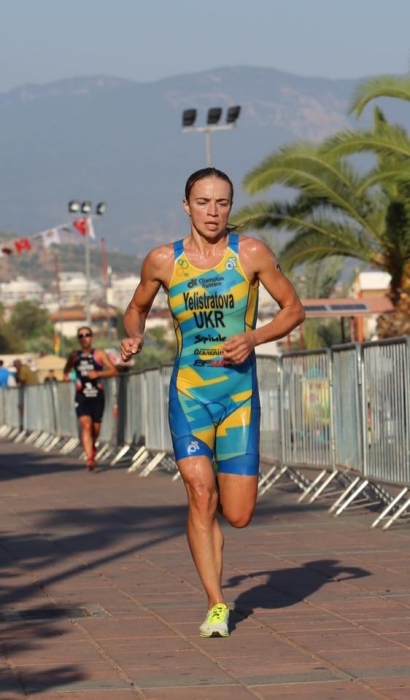 It was Charayron who sped out onto the run course first, with Fishman a few paces back but sure enough, the Ukrainian kicked the gears up and established control over the race. 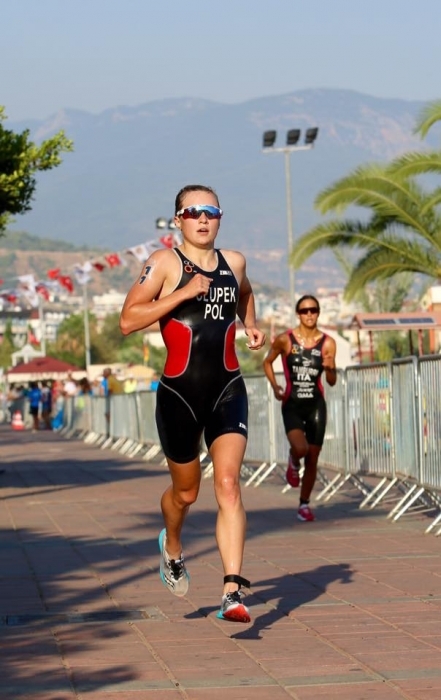 Her final 10k was fast enough to take her once more to the finish tape but a superb effort from Słupek delivered a silver medal to Poland. Charayron beat the heat to claim bronze. 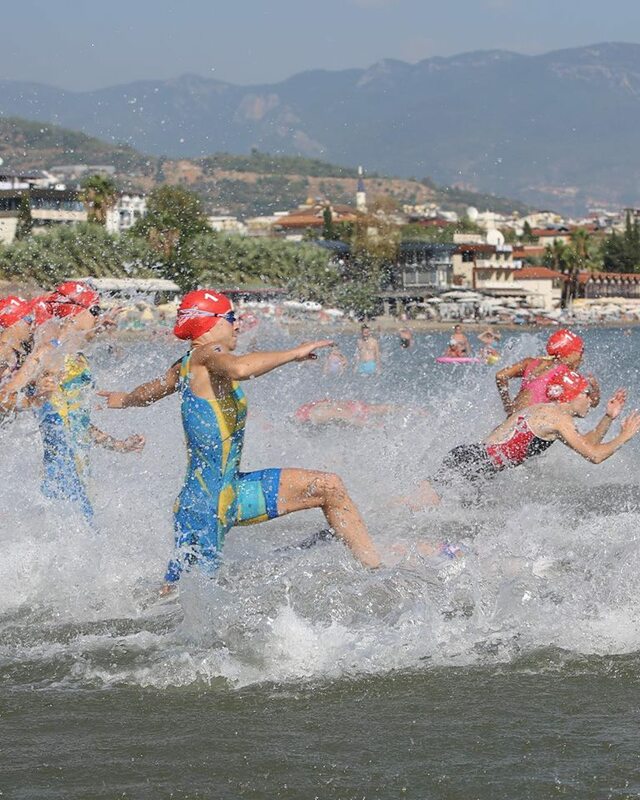 A tough race in these conditions but with a good payday and of course the famous Alanya closing party to come this evening after the men have finished racing. You can follow the men’s race here.